Humanity is choosing to destroy a livable climate, warn 18 of the world’s leading climate experts in a new study. Led by James Hansen, they make the strongest case to date for a target of 350 parts per million (ppm) of CO2 in the air, or about 1°C (1.8°F) total warming. … sea level rise of several meters could be expected. Increased climate extremes, already apparent at 0.8°C warming, would be more severe. Coral reefs and associated species, already stressed with current conditions, would be decimated by increased acidification, temperature and sea level rise. More generally, humanity and nature, the modern world as we know it, is adapted to the Holocene climate that has existed more than 10,000 years. As Climate Progress has previously reported, the thawing permafrost alone is projected to add as much as 1.5°F (!) to total global warming by 2100 and ocean acidification could add another 0.9°F. It is distressing that, despite the clarity and imminence of the danger of continued high fossil fuel emissions, governments continue to allow and even encourage pursuit of ever more fossil fuels. Recognition of this reality and perceptions of what is “politically feasible” may partially account for acceptance of targets for global warming and carbon emissions that are well into the range of “dangerous human-made interference” with climate. Although there is merit in simply chronicling what is happening, there is still opportunity for humanity to exercise free will. Thus our objective is to define what the science indicates is needed, not to assess political feasibility. Further, it is not obvious to us that there are physical or economic limitations that prohibit fossil fuel emission targets far lower than 1000 GtC, even targets closer to 500 GtC. Indeed, we suggest that rapid transition off fossil fuels would have numerous near-term and long-term social benefits, including improved human health and outstanding potential for job creation. Hansen in this latest piece has collaborated with a distinguished multidisciplinary team of researchers with expertise spanning the disciplines of climate modeling, paleoclimatology, oceanography, biology, ecology, economics, law, public health, and psychology, to examine the full dimensions of the problem of human-caused climate change. They make a compelling case, based on an exhaustive review of the science, economics, and arguments about intergenerational ethics, that dangerous climate change should be defined by a threshold of 350 ppm (below current levels) and just 1C total warming relative to pre-industrial time (we have nearly reached that already), rather than the typically-cited 2C warming/450 ppm limit. If one adopts their more conservative target, one is led to the conclusion that we must rapidly ramp down our burning of fossil fuels, along with other actions such as massive reforestation projects, if we are to avoid truly dangerous human-caused climate change. That message reinforces my own sentiments (see e.g. my previous PNAS commentary: http://www.meteo.psu.edu/~mann/shared/articles/MannCommentaryPNAS09.pdf) and I for one welcome it. 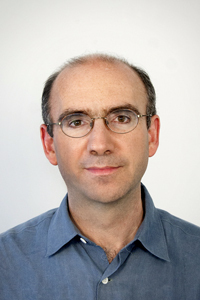 Dr. Joseph Romm is a Senior Fellow at American Progress. He oversees the blog ClimateProgress.org. Dr. Romm served as acting assistant secretary at the U.S. Department of Energy’s Office of Energy Efficiency and Renewable Energy during 1997 and principal deputy assistant secretary from 1995 though 1998. He is author of Language Intelligence: Lessons on Persuasion from Jesus, Shakespeare, Lincoln and Lady Gaga and Hell and High Water: Global Warming—The Solution and The Politics (William Morrow, January 2007).